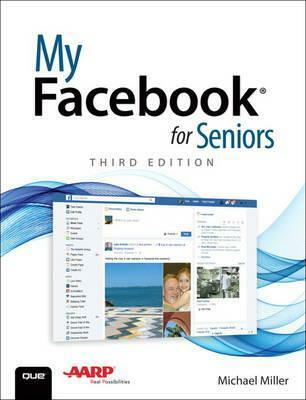 Whether you are new to Facebook or would like to explore more of its features, My Facebook for Seniors makes learning to use the world's most popular social media site simple and fun. The full-color, step-by-step instructions make it easy to connect with family, friends, and colleagues; share digital photos; play social games on Facebook; and much more. Michael Miller is a prolific and popular writer of more than 200 non-fiction books, known for his ability to explain complex topics to everyday readers. He writes about a variety of topics, including technology, business, and music. His best-selling books for Que include My Windows 10 Computer for Seniors, My Internet for Seniors, My Social Media for Seniors, My Samsung Galaxy S7 for Seniors, Easy Computer Basics, and Computer Basics: Absolute Beginner's Guide. Worldwide, his books have sold more than 1 million copies.